For other uses, see Burnt by the Sun (disambiguation). Burnt by the Sun (Russian: Утомлённые солнцем, translit. Utomlyonnye solntsem, literally "wearied by the sun") is a 1994 film by Russian director and screenwriter Nikita Mikhalkov and Azerbaijani screenwriter Rustam Ibragimbekov. The film depicts the story of a senior Red Army officer, played by Mikhalkov, and his family during the Great Purge of the late 1930s in the Stalinist Soviet Union. It also stars Oleg Menshikov, Ingeborga Dapkūnaitė and Mikhalkov's daughter Nadezhda Mikhalkova. The film achieved a high degree of popularity in Russia and positive reviews in the United States. It received the Grand Prize at the 1994 Cannes Film Festival, the Academy Award for Best Foreign Language Film and other honours. In the summer of 1936 in the Soviet Union, Comdiv Sergei Petrovich Kotov, his wife Maroussia and their young daughter Nadia are relaxing in a banya when a peasant from the local collective farm frantically tells them the Soviet Army's tanks are about to crush the wheat harvest as part of general maneuvers. Kotov rides out to order the tank officer to halt. Kotov carries authority as a senior Old Bolshevik and legendary hero of the Russian Civil War, and is also very popular with the common people and local villagers. The happy family returns to their country dacha, where they join Maroussia's relatives, a large and eccentric family of Chekhovian aristocrats. However, Mitya, an ex-nobleman and veteran of the anti-communist White Army then arrives. He was Maroussia's fiance before disappearing in 1923. Joyfully embraced by the family, he is introduced to Nadia as "Uncle Mitya". Maroussia is left feeling deeply conflicted, as she had suffered deeply when he left without explanation. Despite his personable nature, Mitya appears to have returned with a secret agenda, as he works for the Soviet political police, or NKVD. He has arrived to arrest Kotov for a non-existent conspiracy. It is revenge, as Kotov had conscripted Mitya into the CHEKA, the predecessor of the NKVD. Mitya detests Kotov, whom he blames for causing him to lose Maroussia, his love for Russia, faith, and his profession as a pianist. Kotov remarks on Mitya's activities in Paris, where he fingered eight White Army generals to the NKVD. All were kidnapped, smuggled to the Soviet Union, and shot without trial. Kotov believes his close relationship with Soviet dictator Joseph Stalin will save him. However, a black car carrying NKVD agents arrives to remove Kotov, just as a group of Young Pioneer children arrives at the dacha to pay tribute to him. Kotov is forced to make a false confession to all charges and is shot in August 1936, while Mitya commits suicide. Maroussia is arrested and dies in the Gulag in 1940. Although arrested with her mother, Nadia lives to see all three sentences overturned during the Khrushchev thaw, and works as a teacher in Kazakhstan. Screenwriter Rustam Ibragimbekov said the film represented a statement on totalitarianism, and the sun in the film represents Joseph Stalin. Nikita Mikhalkov stated in making the film, his belief was that "Bolshevism did not bring happiness to our country." However, he doubted whether "entire generations" could be judged for actions caused by wider social problems. 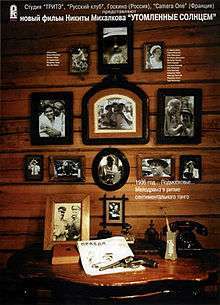 Mikhalkov also took inspiration from his young daughter Nadezhda Mikhalkova, and memories of his home. 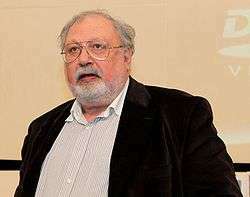 Azerbaijani screenwriter Rustam Ibragimbekov created the storyline with Mikhalkov and collaborated with him on the dialogue. The title derives from a popular 1930s song composed by Jerzy Petersburski. Originally the Polish tango, "To ostatnia niedziela" ("This is the last Sunday"), it became popular in the Soviet Union with new Russian lyrics and the title, "Утомлённое солнце" (Utomlyonnoye solntse, "Weary Sun"). The song is heard repeatedly in the film; the director Mikhalkov said in 2007 that he learned of the song from his elder brother Andrei Konchalovsky's 1979 film Siberiade. He compared his use of the music to his having stolen money as a boy from his brother. According to Ibragimbekov, the "sun" depicted in the film is intended to symbolize Stalin, and emphasized a point of the film is that totalitarian regimes "take on a life of their own, destroying not only those whom they were originally intended to destroy but their creators as well." The film was shot in Moscow while Nikolina Gora was used for the village, and the scenes set inside the dacha were filmed in Nizhny Novgorod. It had a budget of $3.6 million, with major sponsorship from Goskino. For the part of Kotov's daughter Nadia, Mikhalkov cast his daughter Nadezhda, who hoped her compensation would be a bicycle. Mikhalkov opted to play Kotov himself because he believed it make his daughter comfortable, explaining "certain scenes [were] especially delicate on an emotional level." The scenes were filmed between July and November 1993. Mikhalkov decided on a fast shooting schedule out of consideration for Nadezhda, who was six at the time. He remarked that "Children grow quickly and lose the tenderness, the simplicity, and the charm their youth carries." The film premiered at the Cannes Film Festival in May 1994. Although it won the Cannes Grand Prix, Mikhalkov was said to be bitterly disappointed with not securing the Palme d'Or, with Russian press declaring "defeat." 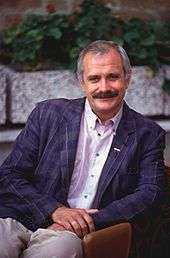 For marketing within Russia, Mikhalkov personally toured local places and encouraged politicians and businesses to screen his film. It opened in Moscow on 2 November 1994. It later had a video release in Russia, where it topped sales for 48 consecutive weeks, demonstrating great popularity. The film was aired on Russian television on the evening before the Russian presidential election, 1996, in a possible attempt to discredit Gennady Zyuganov's Communist Party. Critics praised Nikita Mikhalkov's performance and his chemistry with daughter Nadezhda Mikhalkova. In its native Russia, initial reviews were "largely neutral." Common criticisms in Russia were that the film was "too commercial," and lacked seriousness. Roger Ebert gave the film two stars, judging it to be derivative of "many pre-1991 Eastern bloc epics." Caryn James described the film in The New York Times as "exquisite, lyrical and tough-minded." Kenneth Turan of The Los Angeles Times wrote "What Burnt by the Sun does best is elegantly intertwine the personal and political themes of love, trust and betrayal." David Denby, writing for New York magazine, said that while he initially found the film had "too much sunshine," concluded "Burnt by the Sun is an extremely powerful work." Desson Howe of The Washington Post called the film "old-fashioned, auteurist filmmaking" with "mostly pluses," adding "The Mikhalkovs work together like Astaire and Rogers." Entertainment Weekly's Owen Glieberman gave the film a B+, writing "Burnt by the Sun builds slowly, reaching a climax of quiet devastation," and said the rowboat scene is "so tender I don’t think I’ll ever forget it." The Time Out review states Mikhalkov's "performance is impeccable, and the scenes with his daughter Nadia achieve a rare poignancy." In his 2015 Movie Guide, Leonard Maltin gave the film three stars and called it a "Provocative, moving meditation" on Stalinism. The film has a 79% approval rating on Rotten Tomatoes, based on 14 reviews. The film received the Grand Prize at the 1994 Cannes Film Festival, and the Academy Award for Best Foreign Language Film. The Academy Award was voted on by attendees of the Academy preview screening, since Burnt by the Sun was not in theatres in the U.S. at the time, and only attendees had seen all five nominated films. Roger Ebert criticized the award as the result of "the Academy's flawed rules," alleging "A publicist merely has to be sure to invite everyone friendly to the film, while leaving it up to others to find their own way." Both Nikita and Nadezhda Mikhalkov and went on stage to accept the Academy Award. Nadezhda Mikhalkova, as an adult, reprised her role as Nadia in Burnt by the Sun 2. Nikita Mikhalkov directed and reprised his role as Sergei Petrovich Kotov in his sequel, Burnt by the Sun 2. It competed for the Palme d'Or at the 2010 Cannes Film Festival. Oleg Menshikov and Nadezhda Mikhalkova also reprised their roles from the original film. Playwright Peter Flannery's adapted the film as a stage drama by the same name. It opened at the National Theatre, London, in March 2009. The cast included the Irish actor Ciarán Hinds as General Kotov, Rory Kinnear as Mitya, and Michelle Dockery as Maroussia. 1 2 3 Birgit Beumers, Burnt By the Sun: The Film Companion, I.B.Tauris, 2000, p. xii. ↑ "Burnt by the Sun". Box Office Mojo. Retrieved 9 September 2016. 1 2 Stephen M. Norris, Blockbuster History in the New Russia: Movies, Memory, and Patriotism, Indiana University Press, p. 29. ↑ Stephen Lovell, Summerfolk: A History of the Dacha, 1710-2000, Cornell University Press, 2003, p. 233. 1 2 3 Betty Blair, "The Scorching Sun and the Nature of Totalitarian Systems." Azerbaijan International, Vol. 3:2, Summer 1995, pp. 8–11. ↑ Q&A with Nikita Mikhalkov held at the National Theatre of Bucharest, April 15, 2007. The event was subsequently aired by the Romanian Television. 1 2 Anna M. Lawton, Imaging Russia 2000: Film and Facts, New Academia Publishing, 2004, p. 77. 1 2 Louis Menashe, Moscow Believes in Tears: Russians and Their Movies, New Academia Publishing, p. 58. 1 2 Birgit Beumers, Nikita Mikhalkov: The Filmmaker's Companion 1, I.B.Tauris, 2005, p. 113. ↑ George Faraday, Revolt of the Filmmakers: The Struggle for Artistic Autonomy and the Fall of the Soviet Film Industry, Penn State Press, 2000, p. 191. ↑ Beumers, Burnt By the Sun: The Film Companion, p. x. 1 2 Ebert, Roger (19 May 1995). "Burnt by the Sun". Rogerebert.com. Retrieved 9 September 2016. ↑ James, Caryn (21 April 1995). "FILM REVIEW; Charm on the Surface, And Stalinist Realities". The New York Times. Retrieved 9 September 2016. ↑ Turan, Kenneth (21 April 1995). "MOVIE REVIEW : 'Burnt': Russia's Soulful Oscar Winner". The Los Angeles Times. Retrieved 9 September 2016. ↑ David Denby, "Blinded by the Light," New York, 1 May 1995, p. 64. ↑ Howe, Desson (19 May 1995). "Burnt by the Sun". The Washington Post. Retrieved 9 September 2016. ↑ Glieberman, Owen (5 May 1995). "Burnt by the Sun". Entertainment Weekly. Retrieved 9 September 2016. ↑ TCH. "Burnt by The Sun". Time Out. Retrieved 9 September 2016. ↑ Leonard Maltin, Leonard Maltin's 2015 Movie Guide, Penguin Group, 2014. ↑ "Burnt by the Sun (1994)". Rotten Tomatoes. Retrieved 9 September 2016. ↑ "Festival de Cannes: Burnt by the Sun". festival-cannes.com. Retrieved 2009-08-30. 1 2 "The 67th Academy Awards (1995) Nominees and Winners". oscars.org. Retrieved 26 September 2015. ↑ "Past Winners 1990-1999". AACTA.org. Retrieved 10 September 2016. ↑ "Film Not in the English Language in 1996". British Academy of Film and Television Arts. Retrieved 10 September 2016. ↑ "Soleil trompeur". Ecumenical Jury. 28 March 2004. Retrieved 10 September 2016. ↑ Beumers, Burnt By the Sun: The Film Companion, p. xi. ↑ "Hollywood Reporter: Cannes Lineup". hollywoodreporter. Archived from the original on April 22, 2010. Retrieved 2010-04-16. ↑ Flannery, Peter (26 February 2009). Burnt by the Sun. London: Nick Hern Books. ISBN 978-1-84842-044-1. ↑ Staff writers. "Burnt by the Sun". Productions. National Theatre. Retrieved 2009-07-10. ↑ Coveney, Michael (5 March 2009). "Burnt By The Sun, National Theatre, London". The Independent. Retrieved 2009-05-21.